Select your home site and build this spectacular home - final phase now selling! 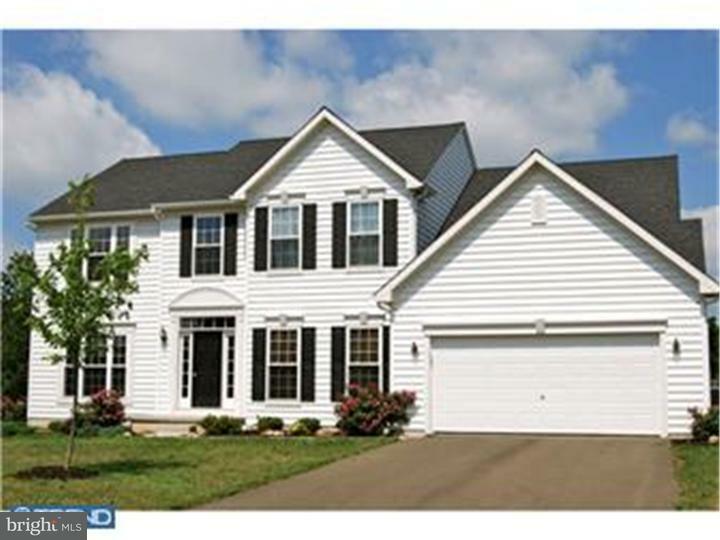 New construction in beautiful New London Township. The New Haven is the largest of the eight models offered at Wheatland Farms. Large Kitchen includes 36"/42" oak, cherry or maple cabinets - your choice, granite counters, stainless steel gas appliances, granite counters with under mount double bowl sink with Camerist kitchen faucet, granite island, recessed lighting, and large pantry. Dining Room has wainscoting, chair rail and two-piece crown molding. Upgraded trim and carpeting package features upgraded baseboard, door and window casings, rounded drywall corners, 9' first floor ceilings, and brushed nickel light fixtures and door hardware. 2nd floor Baths have granite counter vanities with brushed nickel faucets. Master Suite has a roomy five foot shower, ceramic tile bathroom floor and an over-sized walk-in closet. There is also the attractive Carolina Beaded exterior siding with stone accent plus 2x6 exterior wall construction as standard. All homes back to meadow or wooded open space. Public water, sewer and natural gas utilities service the community.